You'll be £19.99 closer to your next £10.00 credit when you purchase Army Wings. What's this? 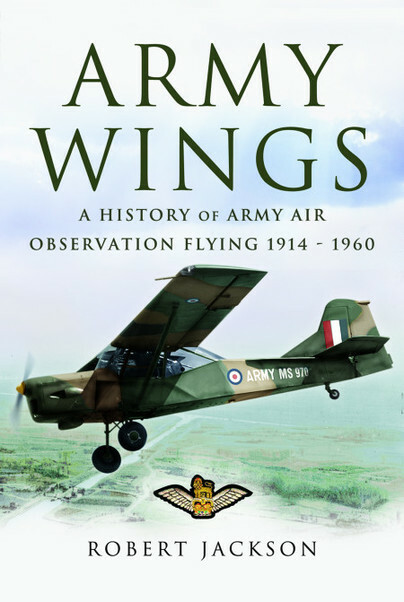 This is the fascinating story of army fixed-wing co-operation units who were made up of specially trained volunteer army personnel. These men were trained to fly, to reconnoitre across the front line in search of enemy forces and then guide artillery gunners onto the target. From its earliest days in World War I, small low-flying aircraft have flown unarmed into combat and relayed vital information to aid accurate fall of shot and to advise front-line ground troops of enemy strength and postion. They were frequently attacked by fighter aircraft and had to avoid ground-fire, often flying below treetop height. They relied purely on flying skill to outwit the enemy and yet little is known of these unsung heroes of many wars. This book redresses the balance.